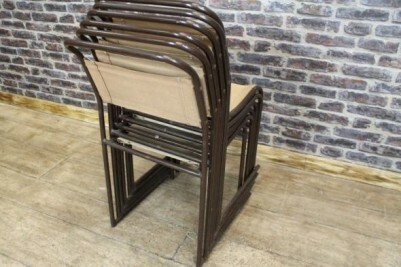 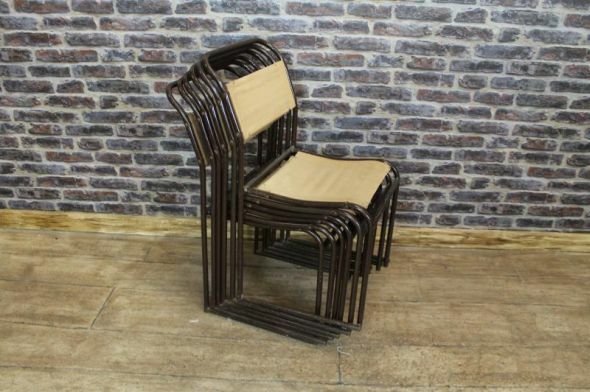 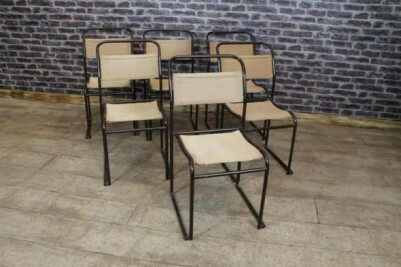 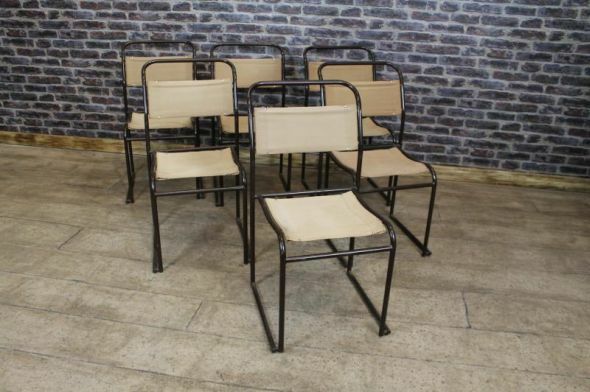 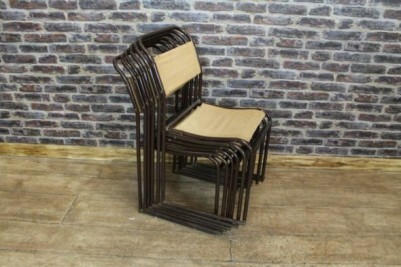 These superb and extremely comfortable retro vintage stacking chairs are fitted with canvas seats and a canvas back rest. 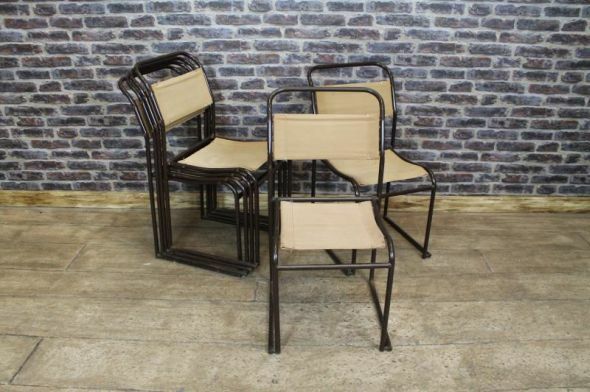 These industrial chairs with their stacking feature are extremely useful in any contemporary kitchen or dining room, and are in good condition with no breaks to the steel work. 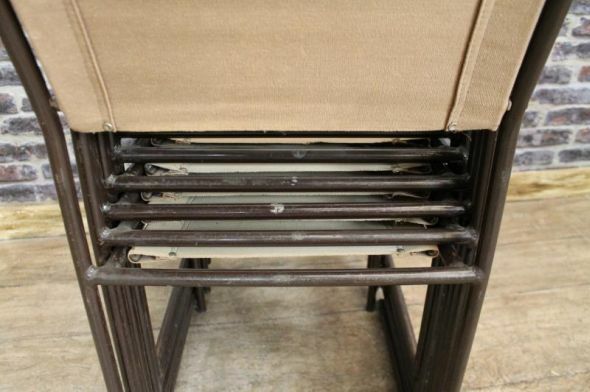 As you can appreciate, being used on a daily basis there are marks to the paintwork which we feel adds to the character of these chairs. 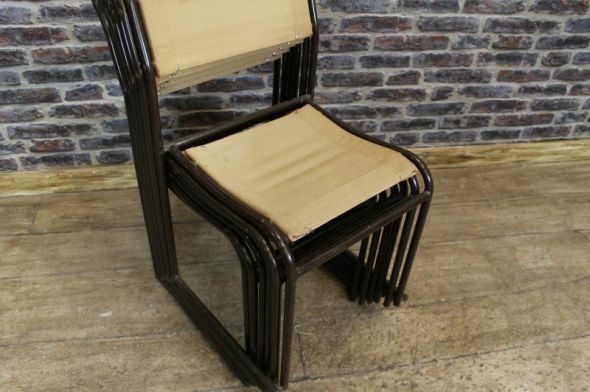 Please note: the price stated is for one of our vintage canvas stacking chairs.